Playing outdoors gives kids the chance to be active, use their energy and stay in good shape. Nowadays, with the popularity of video games that kids play using portable gadgets like tablets and smartphones, kids become more sedentary and could likely become overweight. To encourage the kids to spend some time outdoors, it would be a good idea to buy them toys that are designed for outdoor play. The kids can enjoy playing and will be more likely to spend more time playing outside the house. I have three girls. When they were young, they play outdoors using their glides, volleyball, badminton or bike. Now, what other toys do you think would encourage playing outside? I searched online and found 10 toys for outdoor play that girls would want to play with. 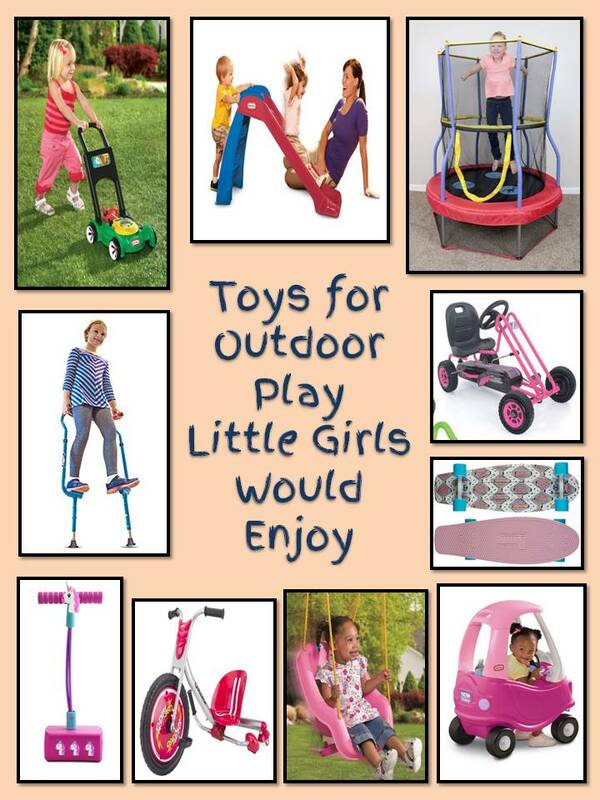 The first 7 on the list are good outdoor toys for toddlers, while the last three are more suited for older girls. Some kids like to jump. 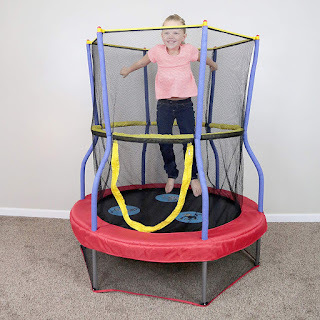 If you think your little girl would enjoy this activity, a trampoline might be a good outdoor toy for her. 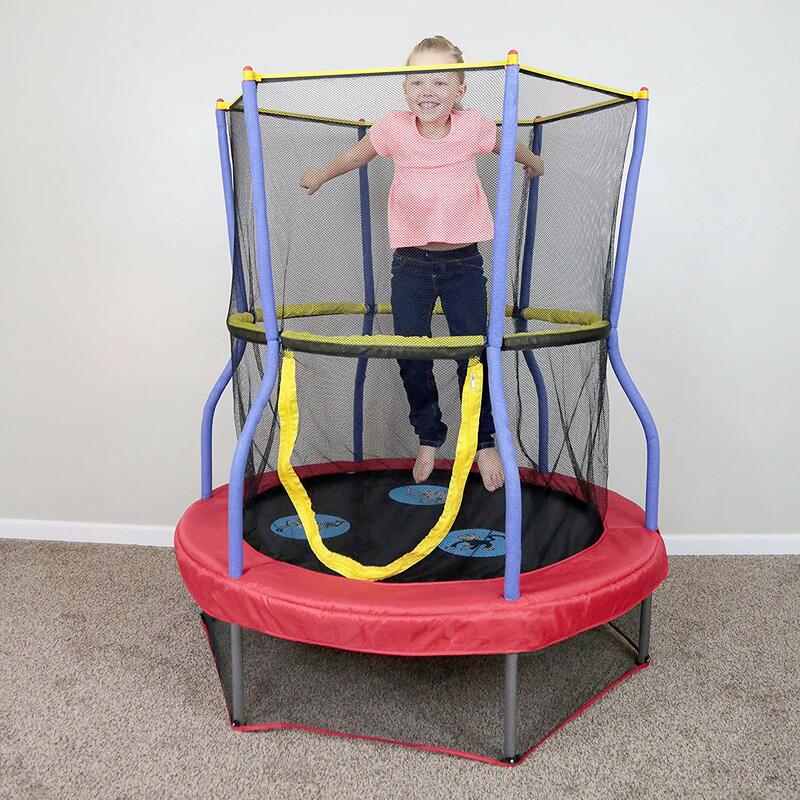 You might want to get a trampoline like the Skywalker Trampoline with Enclosure for safety and spring pad for lots of jumping fun. The enclosure locks with the mat so your child is secure within the boundaries of the trampoline. This trampoline is made with weather-resistant and durable material so it can last many years for your child to enjoy. 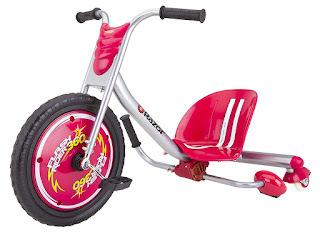 If your little girl doesn't know how to ride a two-wheel bike yet, giving her a pink trike like the Razor RipRider 360 Caster Trike is a good option. This trike brings on a new level of outdoor fun. This one can drift - and spin as well, thanks to the inclined casters. It comes with a flat-free front tire and rubber grips on the handlebar. The double crown fork design makes a hot and tough trike on the block. 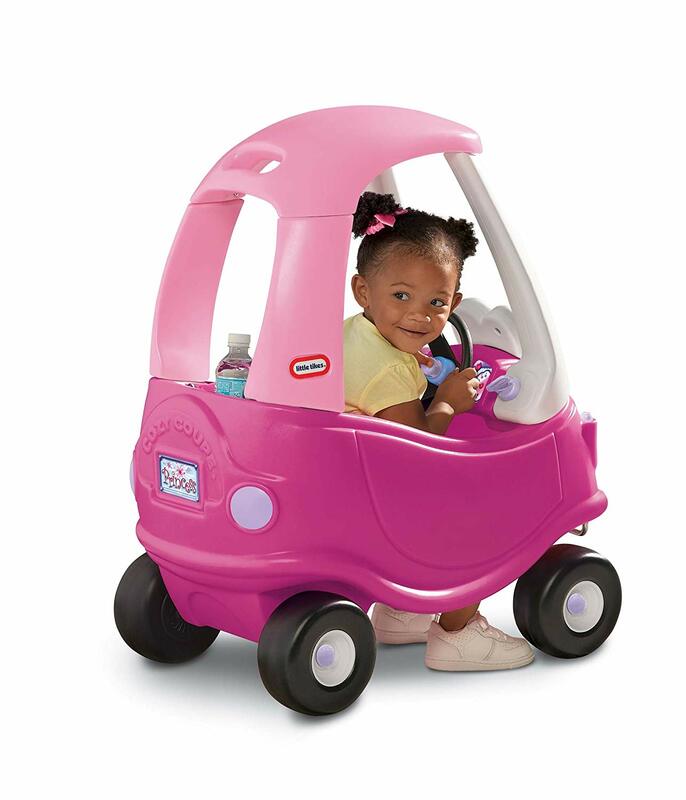 The Little Tikes Princess Cozy Coupe Ride-On is a toy car for little girls. With a pretty pink color, this is a ride-on toy that young girls will surely love. It is the closest thing to a car that they can drive at a young age. Equipped with realistic features like a door that opens and closes, a working horn and a gas can, this is surely going to be a good addition to the nursery or even it the outdoor playground. One thing that makes it even better is that it actually moves, allowing children to mimic the action of driving. The wheels in the front can spin at 360 degrees. This toy is recommended for kids aged one and a half to five years old. When they are young, the floorboard can be attached and parents can guide their movement. Once the time comes that they can already stand and walk, the floorboard can be removed and kids can control the Little Tikes Princess Cozy Coupe Ride-On on their own. Toddler girls would enjoy the Little Tikes First Slide. Built for both indoor and outdoor use, it has a maximum capacity of 50 pounds and can be perfect for kids from one and a half to four years old. It is compact enough to be placed inside the nursery. It is built from durable materials, so even if it is exposed to rain and sun, its quality will not deteriorate. 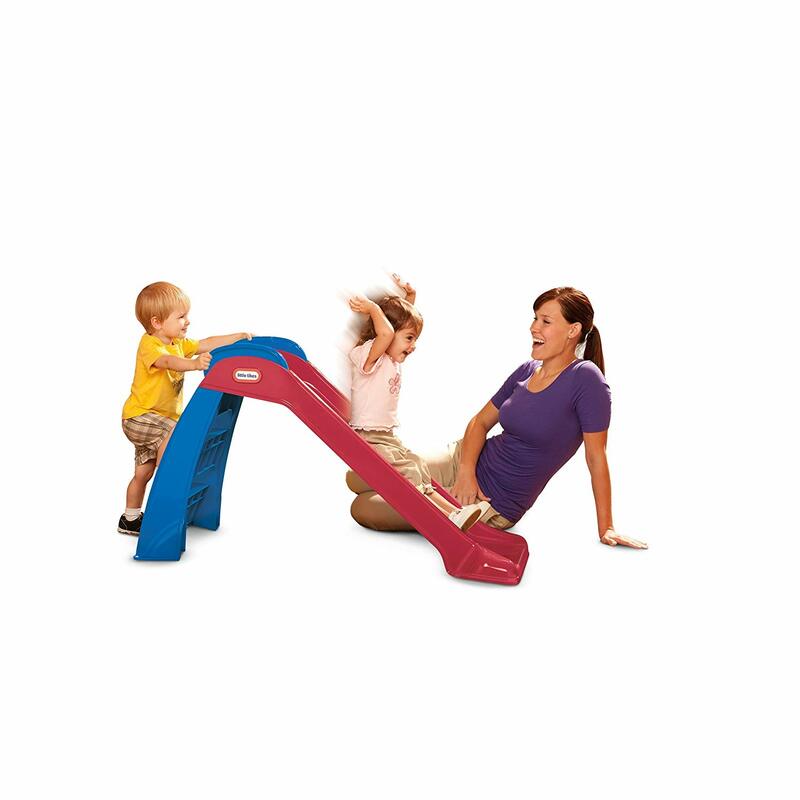 This slide helps in the development of different skills of children, such as balance, fitness, and coordination. It helps in improving motor skills and encouraging kids to move rather than just being stuck in one area. If you have toddlers you know that they love to jump. 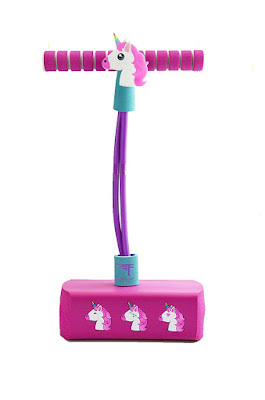 Let them enjoy the outdoors more with the Flybar My First Pogo Stick for ages 3 and up. At the same time, they would improve their balancing skills, hand-eye coordination and strength. 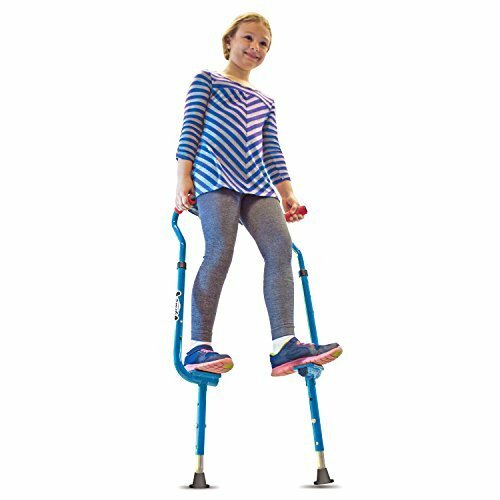 This Pogo stick is made with durable foam, a stretchy bungee “spring” instead of the typical stick, and soft comfy foam grip handles. It has built in speakers that squeak when jumping, which will help your little girl count her hops. My First Flybar supports weights of up to 250 lbs., so adults can have fun too. Choose from five designs of Pogo Pals head: Frankie the Frog, Frida the Fox, Ursula the Unicorn, Manny the Monkey and Patterson the Panda. 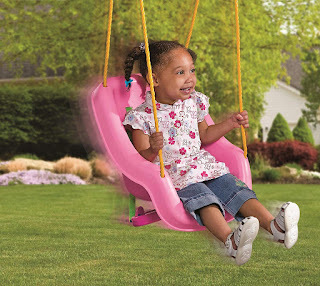 Make the outdoors more fun with the Little Tikes 2-in-1 Snug ‘n Secure Swing. This swing is particularly created for babies who are 9 months to 2 years old (Weight limit is 22 kilograms). It allows infants to be fitted securely and comfortably, giving you assurance that they can play and enjoy while staying safe at the same time. 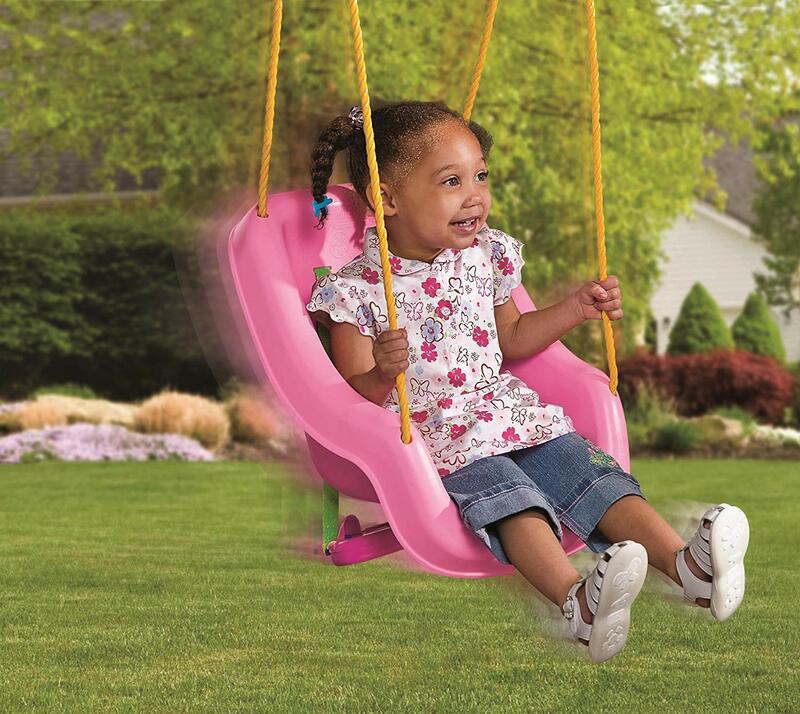 This swing is made with durable plastic and has a built-in seatbelt for security. The shoulder straps and T-bar offer added security. The T-Bar can be removed and be placed under the seat if your baby has grown big. Even without the T-bar, it is still safe to play with this swing as long as babies are supervised. Assembly of the swing may be a bit difficult and the quality of ropes may not be as good but can be easily replaced with sturdier ropes. Mowing the lawn is the job of grown-ups but what if your kids can try mowing even at a young age. 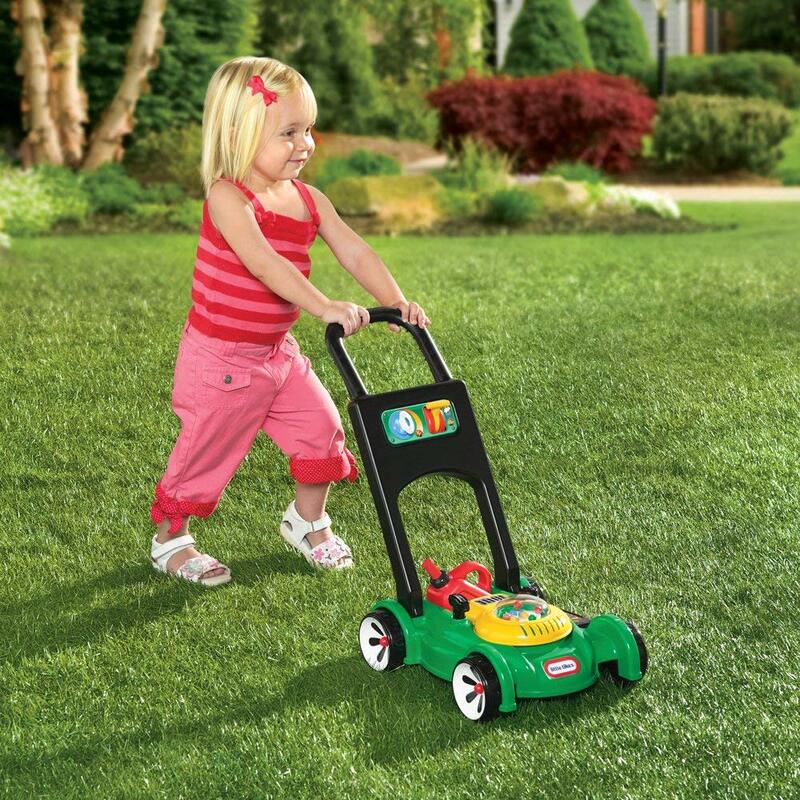 With Little Tikes Gas ‘N Go Mower Toy, kids can experience how it is like to be mowing. When the cord is pulled, a realistic sound will be heard. Other features include a removable gas can, movable throttle, and clicking key. No batteries needed so it is economical and eco-friendly. With its realistic features, it teaches responsibility to kids in a manner that is fun and safe. Built with the same features that you can expect from a full-sized lawn mower, this is a perfect toy for kids 18 months to 5 years old to enjoy the outdoors. The Little Tikes Gas ‘N Go Mower Toy is an excellent toy to have to teach kids how to have a green thumb even while they are young. The presence of realistic sounds is a plus, although some parents complained that it is too loud. Also, some complained that it is good only for smooth surfaces and it won’t roll flawlessly when used in actual grass. 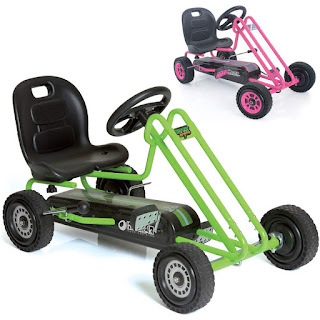 The Lightning Pedal Go Kart gives a real driving experience and lends control of the pedal speed to the driver. The Lightning's responsive and quick turning is going to excite young racers. It has custom, ergonomic molded seat that is adjustable and built with a high backrest for a comfy and safe sitting position. Young girls will love the Lightning because it is child-oriented, ergonomic and safe. Furthermore, it promotes physical activity, improves strength, endurance and co-ordination. Want to motivate your kids to be more active at the same time improve their balance, strength and coordination? With the Geospace Walkaroo WEE! Balance Stilts, your kids can enjoy walking around on these stilts. Even their friends would want to try them. Its E-Z Walk Handle design makes stilt-walking easy to learn. The kids just need to step on, pull up and go! It is made of rugged tubular steel and the bottoms come with large rubber feet for maximum stability. The arm positioning and height of the stilts are adjustable to 10 to 15 inches off the ground, so kids can use them as they grow taller. Some outdoor toys never go out of style and skateboards are one of these toys. 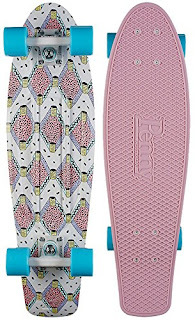 The Penny Nickel Complete Skateboard Buffy design combines the fun of yesteryear's skateboard with today's hot new design and improved ability. 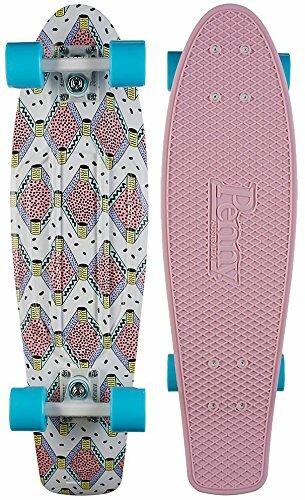 The non-slip deck on these colorful boards are 27" in length, which make them perfect for riding, sailing over ramps or popping wheelies. The wheels are 59mm 78A cored, supported by stainless steel bearings. You can choose from several eye-catching designs, but girls would probably like the Buffy design. It comes with lifetime manufacturer's warranty.